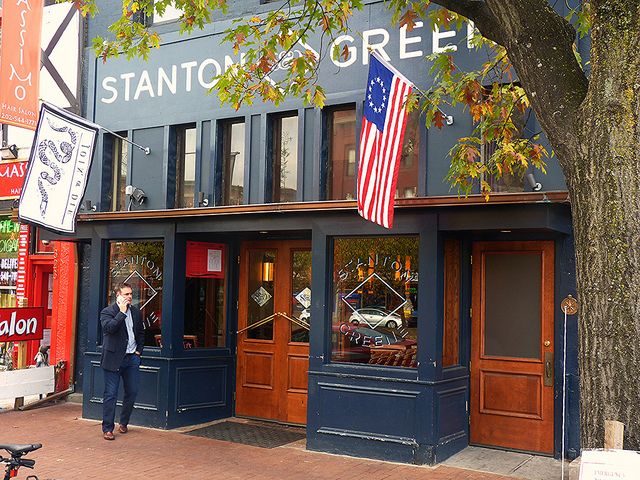 “Stanton & Greene is taking inspiration from its location in the heart of Capitol Hill and relaunching itself as a craft cocktail bar that celebrates the history, heritage and flavors of these United States. The centerpiece of this rebranding is a new cocktail menu that consists of two historical recipes and ten original cocktails each directly inspired by a different amendment in the Bill of Rights (see guide for details) . The two historical cocktails are Benjamin Franklin’s Clarified Milk Punch, recorded in a 1762 letter to James Bowdoin, and Martha Washington’s Cherry Bounce, a favorite of George Washington’s. A taste of these drinks is literally a sip of history. 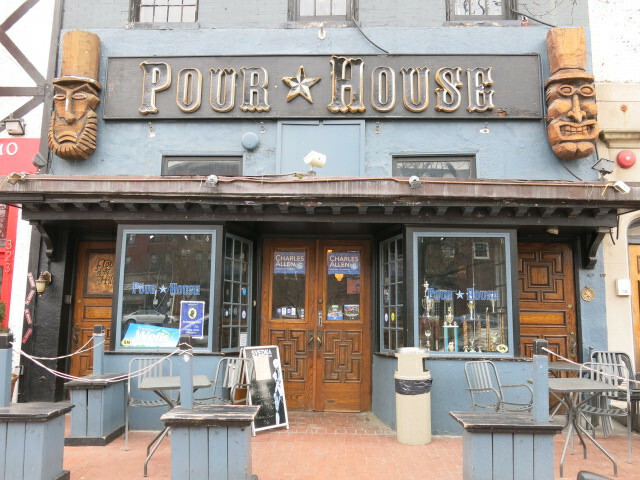 The list of original Constitutional Cocktails embraces the history of American drinking as informed by mixologist Remy Canario’s extensive background reading (see bibliography) and research at the Library of Congress, emphasizes ingredients native to North America (e.g. Concord grapes and black walnuts), and evokes flavor profiles familiar to all Americans (e.g. apple pie and peanut butter & jelly). The result is a menu that is highly accessible, but also full of novel flavor combinations and fresh ideas including: craft versions of two of the most humble of drink orders, rum & coke and vodka & red bull, the use of stickers as a medium to incorporate the scent of essential oils into a cocktail; ingredients with medicinal properties; and a 100% local cocktail. All of the ingredients in The District (the Sixth Amendment)–One Eight Distilling’s Untitled Gin No. 2, Calabash Tea & Tonic’s Triple Goddess Tea and honey from Rest in Bees–are produced within the boundaries Washington DC. The District will rotate regularly, and will serve as a spotlight and a showcase for beautiful local products. Click here for additional Information about The District.